R (Miller) v SS for Exiting the European Union  UKSC 5 - representing the Welsh government in landmark constitutional case concerning the government's power to give notice to leave the European Union under Article 50 TEU (led by Richard Gordon QC). 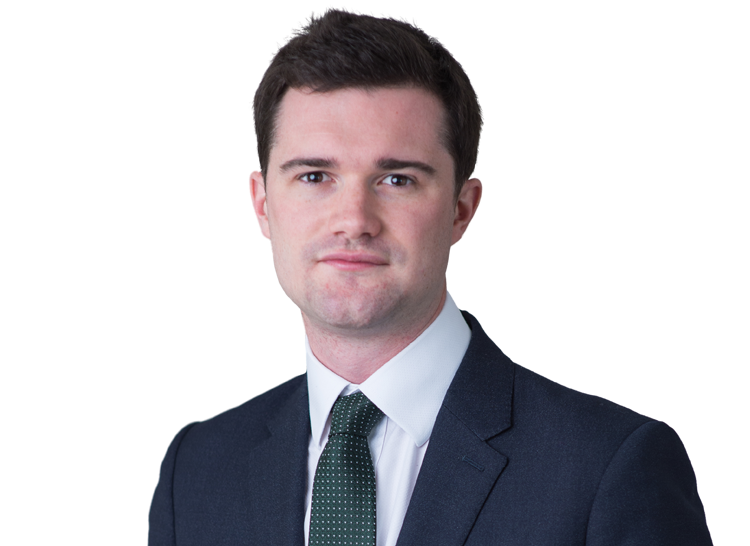 Tom’s previous experience includes working as the judicial assistant to Lord Dyson MR in the Court of Appeal, where he was involved in a number of prominent commercial, public and EU law cases. He holds a law degree from the University of Cambridge (Double First) and a BCL degree from the University of Oxford (Distinction). Tom is called to the Bar of Gibraltar as well as the Bar of England and Wales. Sheikh Mohamed v Sheikh Majid  EWHC 1989 (Comm) - $62 million claim for repayment of an oral loan agreement. Appeal currently pending before the Court of Appeal (led by Neil Calver QC). AssetCo Plc v Grant Thornton LLP - Acting for the claimant in an auditors negligence claim worth approx £35 million. Six week trial due to be heard by the Commercial Court in June 2018 (led by Michael Swainston QC, Mark Templeman QC and Richard Blakeley). Otkritie International Investment Ltd v Ivory Key Holdings Ltd (Claim No 12 O No 10) - defending a claim in the Gibraltar Court of Appeal arising out of allegation that the defendant laundered the proceeds of a large-scale fraud carried out by the Urumovs (see  EWHC 191 (Comm)) (led by Neil Calver QC). Eastcap Ltd v Aon UK Ltd - two week Commercial Court trial concerning a claim for securing insurance business in Romania under an agency agreement, valued at €5 million, and a counterclaim for €25 million for breach of Romanian criminal law (led by Neil Calver QC). Sinocore International Co Ltd v RBRG Trading (UK) Limited - Commercial Court application to set aside an order for the enforcement of a CIETAC arbitral award on public policy grounds (led by Neil Calver QC)Eclairs Group Ltd v JKX Oil & Gas plc – injunction application arising out of a company’s decision to restrict shares before a vote on the removal of its directors, following the Supreme Court’s ruling that a previous attempt to restrict the shares was unlawful ( UKSC 71) (led by Michael Swainston QC). Representing a major mining company in an LCIA arbitration for breach of a guarantee agreement (led by Michael Swainston QC). Lebara Mobile Ltd v Lycamobile UK Ltd  EWHC 3318 (Ch) – injunction application raising important questions about the “net neutrality” principle over mobile phone networks. Involved 26 causes of action in five jurisdictions (led by Robert O'Donoghue). Al-Dowaisan v Mayfair Developments and Properties Ltd – Chancery Division claim for £15 million involving property investments in the UK and Morocco made over a period of 20 years (led by Michael Bools QC). Bradley Sales Consulting Ltd v SCC Marketing Ltd - High Court claim for breach of the Commercial Agents Regulations (led by Fergus Randolph QC). Mullings v NC Dynamics Inc - $20 million claim for breach of a commercial agency agreement in respect of the supply of aircraft parts to Bombardier. A multimillion dollar arbitration concerning the ownership of a privatised Croatian energy company (with Maya Lester QC). (1) Pfizer Limited; (2) Flynn Pharma Limited v Competition and Markets Authority - CAT appeal against CMA decision imposing largest ever fine for breach of competition law for alleged excessive pricing of an epilepsy drug sold to the NHS (led by Kelyn Bacon QC). See e.g. the BBC news report here. Advising the IP Federation and IP Law Association on the implications of 'Brexit' for the Unified Patent Court (with Richard Gordon QC). The advice has been widely disseminated and reported. See e.g. the Legal Week report here. Representing a major sports equipment manufacturer under investigation by the CMA (led by Robert O'Donoghue). Lebara Mobile Ltd v Lycamobile UK Ltd  EWHC 3318 (Ch) – injunction application concerning a ‘Block’ applied to Lebara websites over Lyca’s mobile network. The case raised important questions about the effect of the forthcoming “net neutrality” Regulation. (1) PTC; (2) EUCOPE v European Medicines Agency - Assisting David Scannell with drafting an intervention on behalf of EUCOPE, a consortium of pharmaceutical companies, on the right to access clinical study data under the Transparency Regulation. R (States of Guernsey) v DEFRA - judicial review against the suspension of Guernsey fishing licences. The claim concerns the scope of the EU Common Fisheries Policy and the application of A1P1 in an international context (led by Marie Demetriou QC). Bringing a CMA complaint against FTSE for an abuse of dominance claim (unled). Advising OFGEM on a dispute with an energy supplier concerning the compatibility of power plant subsidies with state aid law (led by Jemima Stratford QC). Advising a major international charity on the compliance of its financial arrangements with EU sanctions and terrorism funding rules (led by Maya Lester QC). R (Miller) v Secretary of State for Exiting the European Union  UKSC 5 - representing the Welsh Counsel General in landmark constitutional case concerning the government's power to give notice to leave the European Union under Article 50 TEU (led by Richard Gordon QC). R (Forge Care Homes) v Cardiff & Vale University Health Boards & ors  EWCA Civ 26 – judicial review concerning the division of responsibility between the NHS and local authorities for care home funding. Appeal heard by the Supreme Court in April 2017 (led by Richard Gordon QC). R (States of Guernsey) v DEFRA - judicial review against the suspension of Guernsey fishing licences, concerning the scope of the EU Common Fisheries Policy and A1P1 (led by Marie Demetriou QC). Sophocleus v Foreign and Commonwealth Office – historic claims for torture and ill treatment of Cypriot insurgents by colonial security forces during the 1950s (led by Marie Demetriou QC). MM (Somalia) v Home Secretary  EWCA Civ 715 – intervening in Court of Appeal for UNHCR on whether an asylum seeker can be expected to give up his profession as a journalist in order to avoid the risk of death and violence from a terrorist organisation (led by Marie Demetriou QC). MST (Eritrea)  UKUT 443 - intervening in Upper Tribunal for UNHCR in Country Guidance case concerning conditions in Eritrea. R (LCCSA) v Lord Chancellor  EWHC 295 (Admin) (on appeal  EWCA 230) – Divisional Court challenge to reduction of duty solicitors’ legal aid contracts (as a pupil, with Martin Chamberlain QC). Nzolameso v Westminster CC  UKSC 22 – challenge to Council’s policy of relocating homeless people to surrounding areas (as a pupil, with Martin Chamberlain QC). Estrada v Al-Juffali  EWHC 213 (Fam) - multimillion dollar claim for ancillary relief on diplomatic immunity grounds (as a pupil, with Martin Chamberlain QC).